Beautiful 4 bedroom home in the sought after Conway Groves community. This home is in pristine condition and has been well taken care of. 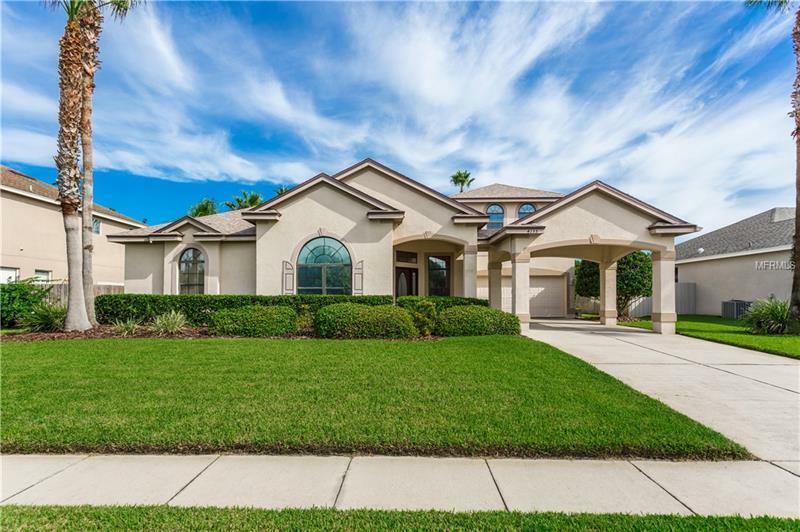 Big formal living room and dining room plus an open concept kitchen with center island, breakfast bar and breakfast nook all overlooking the family room. Magnificent screened in pool and spa outback perfect for the Florida summers. The split bedroom plan offers a large Master bedroom with access to the pool and a large private bath plus another smaller master bedroom with private bath and 2 more bedrooms across the hall that share the hall bath. The home also comes with lots of upgrades including: New roof Aug 2018, New AC 2015, New high efficiency heat pump water heater 2015, 9.6kw electric solar panels 2016, Electric Car Charger 50amp, Pool and Spa salt generator plus Propane tank for heating, water filtration system, garage cabinetry, built in bookcases and buffet, built in Murphy bed and storage in bonus room. This home will not last! Schedule your showing today! Zoned for Cornerstone Charter School.